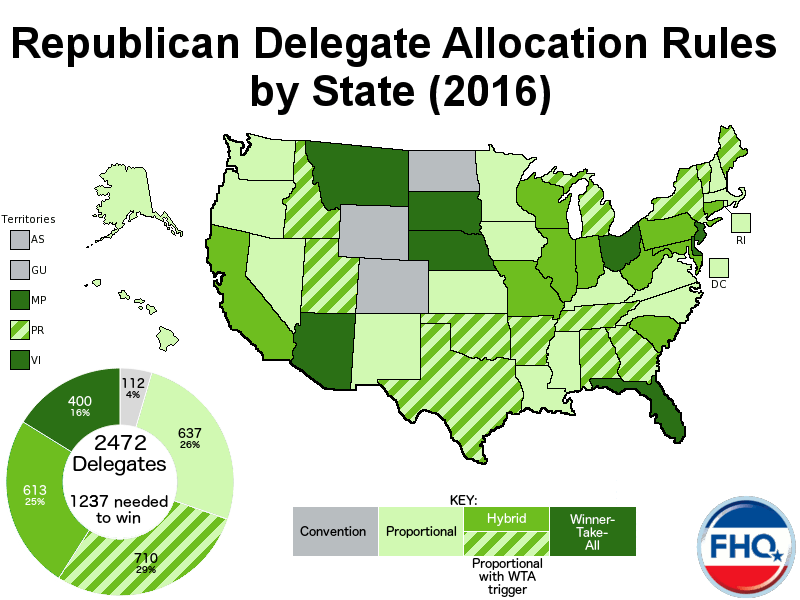 Now, for more fun, look back and forth between the two maps and see contours of the delegate numbers game. 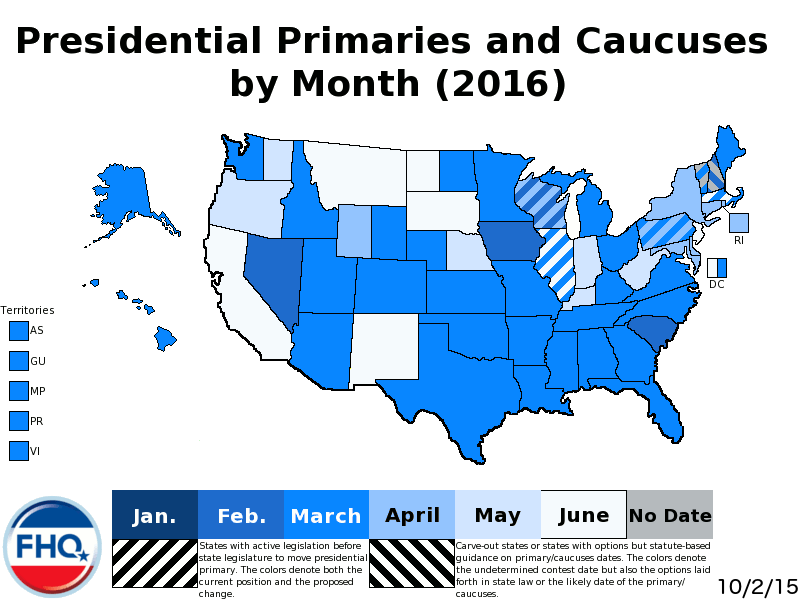 For a different graphic representation, with details such as delegate numbers and percentages in serried rows over time, this is from Red State's work Previewing The GOP Presidential Primary Calendar | Backloaded To Stop An Insurgent, from last October. The page also contains details on winner-take all, proportion, hybrid schemes in various states.